So it appears that improbable things DO happen to me after all. A full eight years after Q and I were last able to make a baby just with tools we have around the house, I found out that I am pregnant again. How did this happen, you may wonder? I'll tell you when you're older. Seriously, though, I'll write more soon about how Q and I got this shocking news and what has happened between then and now. Where I am now is 14 weeks along. 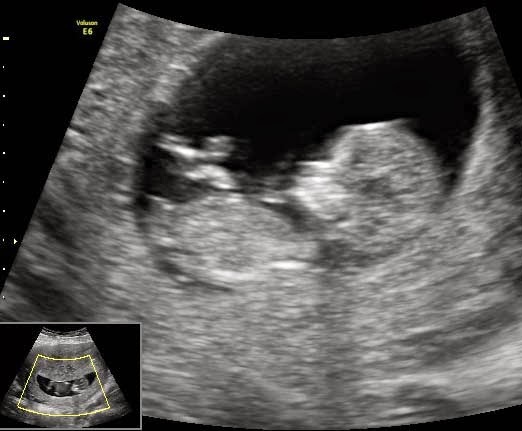 What we know so far is that the baby is a girl, she has normal chromosomes, is measuring on track, and the due date in November 9, which is the week of my fortieth birthday. What we don't have any idea about yet is the state of the umbilical cord. If you know of my history, you know this is a critical matter. Until more is known about the condition of the cord, I hardly dare imagine what the future holds. When I was pregnant with Anastasia, my older two kids were in school, so I had a little discretionary time each day. I tried to compartmentalize all things pregnancy-related into that time - appointments, finding baby's heartbeat with the doppler, writing this blog, and worrying. Of course, I was unsuccessful at compartmentalizing the anxiety, but it was nice to have the free time for the other things. This time I don't have any regular free time for myself and when school gets out in three weeks I'll have to cut back further, and that's really going to hurt. In the past, I was able to write and read other blogs frequently and thus became part of a community of bloggers. This time around, I'm simply writing for myself and to update friends and family, as well as for the benefit of anyone who suffers recurrent cord-related losses like mine. My kids, who are now 12, 10, and nearly 4, know nothing of the pregnancy so far. One of the most difficult things about our situation is the need to hide the pregnancy until it is far enough along that we feel there is some hope that the baby will live. We have a high-level ultrasound scheduled at 19 weeks which we hope will yield good enough news that we could tell the kids. I look back at how fun it was a few years ago to tell them I was pregnant with Anastasia. But then I also remember when I was pregnant with Miles, who died just days before we were going to tell the kids I was pregnant. This could go either way. Not having much free time to think about this is not such a bad thing after all!
? at 11 weeks because the 14 weeks pics are even fuzzier!